Seventeen, Title Song ‘Home’ Music Chart Rank 1…U.S. iTunes Top Music Album Chart Top Rankings! The group SEVENTEEN released its 6th mini album entitled 'YOU MADE MY DAWN' and placed at the top of music chart. They proved their popularity in the world and showed off their potential to be a global trend at the same time. SEVENTEEN released their 6th mini album "YOU MADE MY DAWN" on online music website at 6:00 pm on the 21st. They got top placed in music charts of major online music websites in Korea, and also included to be ranked within the top 10 on iTunes's music charts. Their song "Home" has topped the real-time charts at Bugs and Naver Music. A lot of other music website, right after the release of the songs, and many people are paying attention to their huge success. The entire song has been also successful in charting and even placed in the chart of other music websites. As huge response of the public is reflected in the music chart, many people are paying attention to their new song. Their sixth mini album is ranked 9th on the U.S. iTunes Top Music Album Chart on the day it was released. In iTunes's music charts, they are the only K-POP star who got into top 10 once again showcasing their talents as artists. The Number of live viewers at the showcase broadcast on Naver's V LIVE on the 21st surpassed 1.06 million, and the number of hearts easily surpassed 230 million creating an explosive response to the sixth mini album "YOU MADE MY DAWN" and the title song "Home." 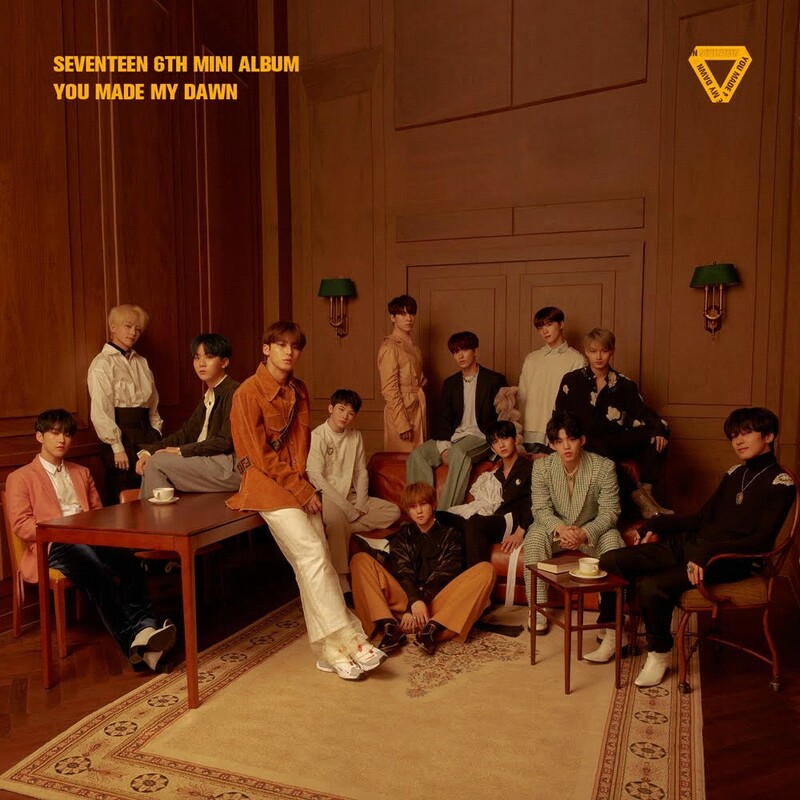 SEVENTEEN's sixth mini album, which is gaining continuous popularity right after its release, is an album which is solid but deep with maturity and more musical capacity, by participation of the members in writing and composing. The title song "Home" is a song that expresses the importance of your lover with a warm heart feelings. SEVENTEEN is still improving and continuously upgrades themselves with their every album. With their 6th mini album that exceeds fans' expectations, it will be interesting to see their comebacks and their new history parade through this activity. SEVENTEEN will introduce the stage of the title song "Home" for the first time, and perform a splendid comeback stage on Monday through Mnet 'M Countdown'.